A Dentist Your Can Trust! Recipient of the Los Angeles Top Rated Doctors Award in 2014. Having Dental Emergency? Call now! Implant Surgery being done by Board Certified Periodontist. Call (818) 345-3355 now for a complimentary Dental consultation! Finding a trustworthy dentist for your needs could be a time consuming task in Los Angeles, CA. If you are looking for the best dentist it is important to check the results of the past cases. Checkout our before & after photos for a handful of the cases from the cases Dr. Afsoon Gerayli has treated. Dr. Afsoon Gerayli is a talented cosmetic & Family dentist with 19 years of experience. Because technology has allowed the industry to advance rapidly, Dr. Gerayli stays current on the latest dentistry techniques, advancements and materials to offer her patients the best dental treatments in Reseda. Victory Cosmetic Dentistry is conveniently located along the border of Tarzana and Reseda in Los Angeles County. During your appointment at our Valley dentist office, we’ll put your comfort first. In fact, after your appointment, you may wonder whether you were at the dentist or a spa. We provide paraffin hand treatments, lip conditioner and warm towels. If dental appointments make you uneasy, let us know, and we’ll set up video eyewear, so you can watch a movie while relaxing in our massage chair. Our staff will even settle your head comfortably on a pillow and cover you with a blanket. If you fall asleep during your treatment, don’t worry. We’ll gently wake you up when your treatment is done. Let one of Los Angeles’s best dentists manage your teeth and gums. At Victory Cosmetic Dentistry, your oral health is our top priority. We know that when a person has a great smile, he or she is likely self-confident and free to grin while imperfect teeth may lead to an unsure countenance and a hidden smile. Let us give you the smile that you deserve. Implants replace missing teeth, and they’ll blend in perfectly with your smile. An implant is a long-term restoring solution, and because they are made from titanium, your body should accept the presence of a tooth implant without complaint. Porcelain veneers are slender, custom formed teeth coverings. Cosmetic dentists develop them from materials that mimic the composition of natural teeth. When teeth are especially stained, decayed, broken or crooked, porcelain veneers can repair them. At Victory Cosmetic Dentistry in Tarzana, Dr. Afsoon Gerayli has the training, patience and experience to offer child dentistry in a relaxing and Kid-Friendly Dental Office. Dr. Gerayli and her staff are ready to perform pediatric dental treatments like crowns and root canals. Dr. Afsoon Gerayli is a recipient of the Los Angeles Top Rated Doctors Award. She won this honor just a few years ago in 2014. Dr. Gerayli received the award by providing compassionate dental care to patients of all ages for more than 19 years. She also uses the latest noninvasive dental technology to deliver quality care. Not only does Dr. Gerayli provide exceptional treatments, but her staff also supplies world-class service. One of Dr. Gerayli’s patients noted that her dental treatment was a pain-free experience while another one pointed out that Dr. Gerayli supports preventative care to keep major dental work at a minimum. This is good for the health of her patients and their pocketbooks. Before starting any dental treatment, Dr. Gerayli will describe in detail what she is going to do for patient peace of mind. In fact, as the area’s best dentist, Dr. Gerayli is famous for providing million dollar smiles. At Victory Cosmetic Dentistry, our goal is to give you a reason to smile. Recipients of the Top Rated Doctors Award win the honor with high customer rankings in their field as well as in related fields. Instead of considering peer reviews, the organization focuses on patient assessments. The firm also utilizes patient reviews from various sites. Oogle. This evaluation process gives potential patients real insight regarding the service level, cost and office environment of a dentist. Doctors and dentists are likely to experience an intense feeling of pride when they receive this award since it is one that comes from the patients that they serve. 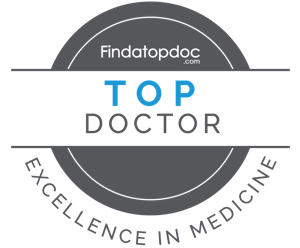 The Top Rated Doctors Award is the ultimate expression of overall patient satisfaction. At Victory Cosmetic Dentistry, we like to say, “Your smile is our mission.” Call us for an appointment today. We know that dental emergencies and pain are generally a packaged deal, which is why we offer 24/7 emergency dental services in Reseda and Tarzana. Injuries, infections and eating mishaps can cause you to need emergency dental care. Victory Cosmetic Dentistry is a full-service facility, and Dr. Gerayli has the experience to handle every possible dental emergency. Just give us a call to book an urgent appointment. You can damage your teeth in a variety of ways. For instance, people call us after receiving a mouth injury caused by a sporting event or from a fall. We also hear from patients who broke a tooth by biting into an apple or from chewing ice. Small chips and superficial cracks are not cause for concern, and we can repair these types of problems during a regular appointment. However, if a tooth fractures, then you will need an emergency repair. Tooth pain is another situation that necessitates emergency treatment. We can take care of dental abscesses, which are painful infections that occur on your gum tissue, within a tooth’s pulp or between your teeth. Abscess pain is often intense, so be sure to call us immediately if you suspect that you’ve developed one. At Victory Cosmetic Dentistry in Reseda, we are skilled at emergency extractions. If you’re experiencing tooth pain, our Valley dentist will complete a quick examination to recommend the proper treatment. In some cases, extractions are required due to disease, trauma or tooth decay. If an extraction is needed, then Dr. Gerayli will discuss follow-up tooth replacement options with you. When it comes to emergency dental care, dependability is key. As the area’s best dentist, Dr. Gerayli cares about your pain, and she will do everything in her power to eliminate it. Call our emergency line when you need urgent dental assistance.